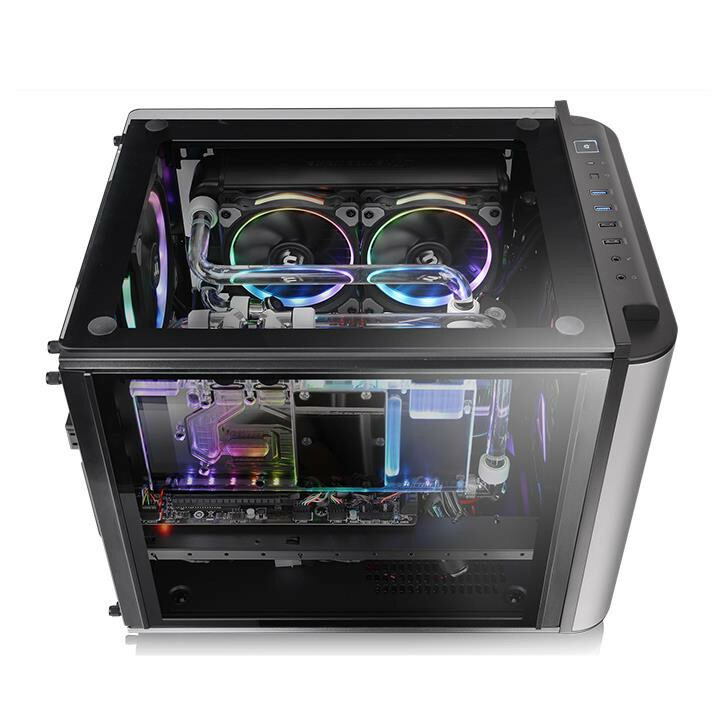 With the recent launch of Thermaltake’s Level 20 cases they have expanded into the MicroATX market with the Level 20 VT at a somewhat affordable price of $99.99, while definitely in the higher end of MATX Cases it still retains premium quality. 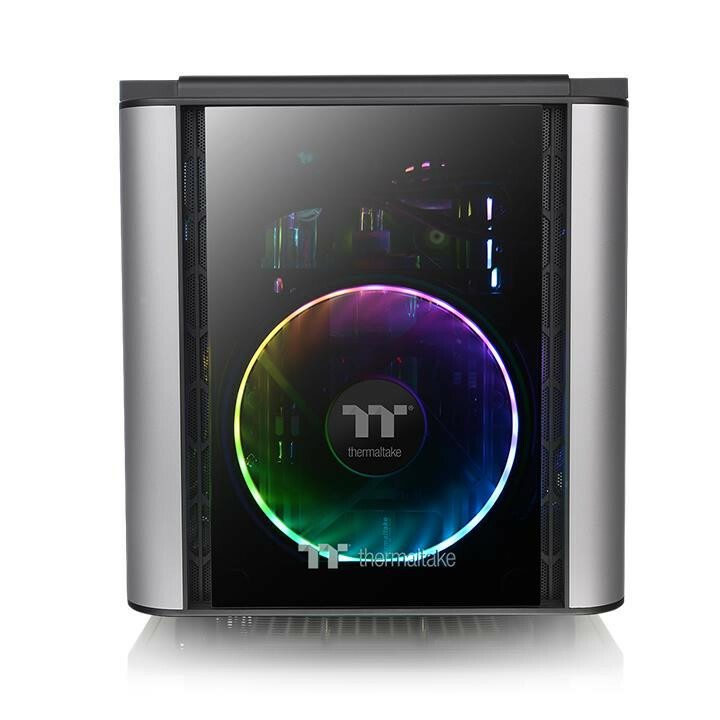 Thermaltake is thrilled to show the latest TT Premium product line – the Level 20 Series which commemorates 20 years of dedication to the PC industry. 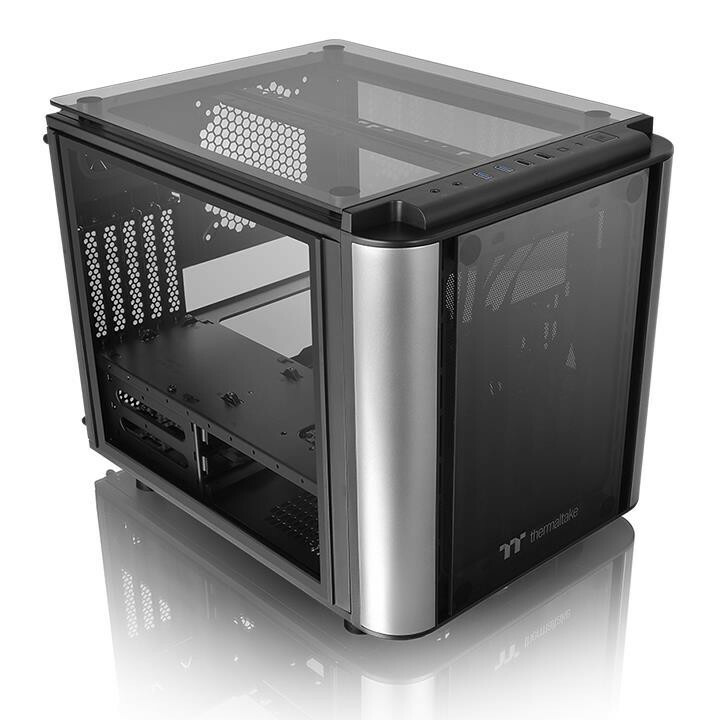 The Level 20 VT is the pocket rocket of the Level 20 series, offering massive support inside an M-ATX footprint. The Level 20 VT is designed to prove that micro cases don’t have to be small on power. It boasts a 200mm fan preinstalled at the front as well as great liquid cooling support, four 4mm tempered glass panels and interchangeable panels with filters. The VT also has a split-level design with a flat motherboard tray that lets you hide away cables, while showing off liquid cooling hardware at the top. The Level 20 VT takes our latest case innovations and wraps them in an ultra-modern, space-conscious style that’s utterly unique in the case market today. The case pairs their Tt LCS certified branding which conveys the fact that this product has been designed for enthusiasts and are built to handle even the most extreme liquid cooling configurations. It’s a dual chambered design is reminiscent of the Thermaltake Core X5 I have sitting on my desk right now, though in a much smaller and premium style, while still being able to support CPU coolers up to 185mm in height, full sized video cards up to 350mm and 200mm PSUs. As radiator support it can take two 240mm radiators much like the Core X5 can side by side, or a single 280mm on top or along the side for a ton of options for water cooling. The Level 20 VT is optimized for space management. 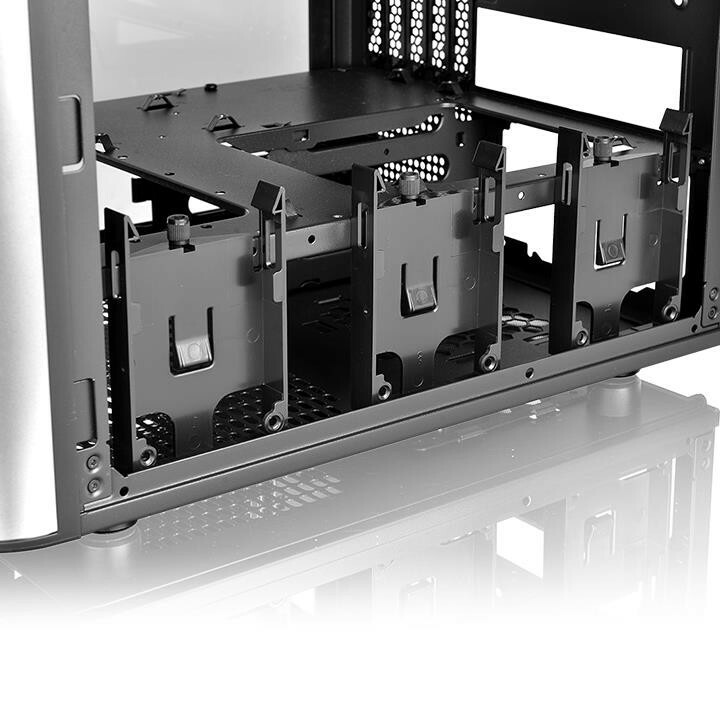 It’s divided into two main chambers: the upper chamber is made to house the motherboard and PCI-E components, while the lower one is made for the PSU and drive bays. Thanks to the removable 2.5″/3.5″ drive device racks, there is plenty of flexibility to fit larger components or build a custom liquid cooling loop. Finally it features four 4mm tempered glass panels on the top, side and front with thick 4mm tempered glass and are a pricer but overall better option than acrylic.